Looking for a new printer for your home or small business? Here's the lowdown on the most popular brands of inkjet printers including their advantages and disadvantages. Please read the following few passages carefully remembering that I have been involved in this industry since 2007 and I get to hear all of the issues that occur with the various brands of inkjet printers currently on the market. All modern inkjet printers are now "throw away" devices. Yes you heard it correctly, even if you spend $300 plus on a printer it is still a throw away device and has been made to a budget and not for longevity. Keeping this in mind we always advise customers to never spend more than about $100 maximum on an inkjet printer. If you shop around you can almost always find a good 3 in 1 printer for around $65 - $100 which prints, scans and copies as well as having WiFi and Bluetooth and often facilities for double sided printing. Obviously an A3 size printer will be somewhat more expensive. The weakest part of any inkjet printer is always the print head. Due to the delicate nature of a print head and the way it operates they have a limited lifespan and their failure more often than not ends the life of the printer. Dont be fooled into thinking that a more expensive printer has a better print head. Most simply have added features and actually use the same print head as the cheaper models. The first thing to avoid is the bargain $40 or $50 printer specials at the front of the display. These are almost always printers which utilise only 2 cartridges. They are super expensive to run and the printer companies love selling these cheap as they make huge profits on the replacement cartridges. Avoid ALL Epson printers as the print heads (piezo) are extremely troublesome and unreliable. We recieve a lot of phone calls from people with Epson printers who have various issues that are almost always print head related. Please avoid ALL Epson printers. Brother Inkjet printers also use a piezo type print head however they are a lot more reliable than other brands currently on the market. Any of the Brother inkjet printers utilising the LC 133 / LC 135Xl / LC 233 and LC 235XL cartridges are reccomended and will perform extremely well with generic ink cartridges. What printers do we recommend and why? 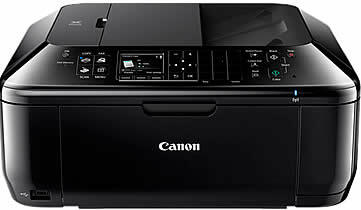 My personal preference when it comes to inkjet printers are Canon printers. This is mainly due to the fact that they use a thermal print head. The thermal print head has been used in Canon printers for many years and it seems to be much less succeptible to clogging and any compatibility issues. In saying this they are still prone to failure and I cant stress this point enough that ALL inkjet printers are simply no longer a once every 5 year proposition. Again I reccommend that you pay as little as you can for your printer and then when it fails (and it will) 12 or 18 months down the track you wont be so dissapointed. Which Canon printer do I buy? There are no real specific models I can reccommend as new models are released almost weekly. All I can say is to chose a printer with the features that you need and make sure that it uses individual ink cartridges and NOT just two. Any Canon printer which utilises the PGI 60XL and CLI 651XL cartridges are reccommended as they are readily available in generic cartridges and they operate perfectly. Dont be fooled by the glamour of the $50 special printer at the front of the display. Sure it looks great however the first time you replace the inks and are told the price of them you will want to launch the printer out the door (along with the sales person who conned you). Here's an example of the above skulduggery to prove my point. The Canon MG2560 lovely little white printer only $25.00 ( no longer available but this was the price at the Good Guys several weeks ago). Wow what a bargain. Three days later you run out of ink because the ones that come with the printer were just teaser cartridges and now you have to fork out a huge $67.80 for another set of Canon cartridges.